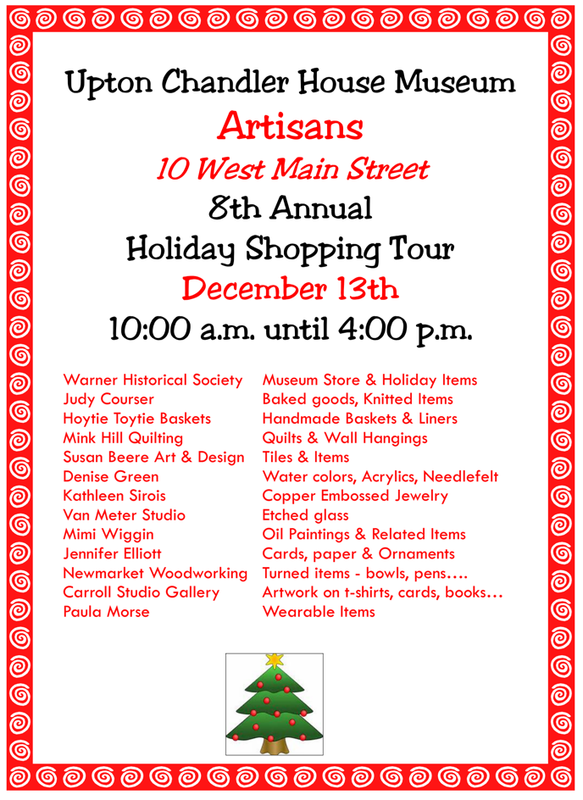 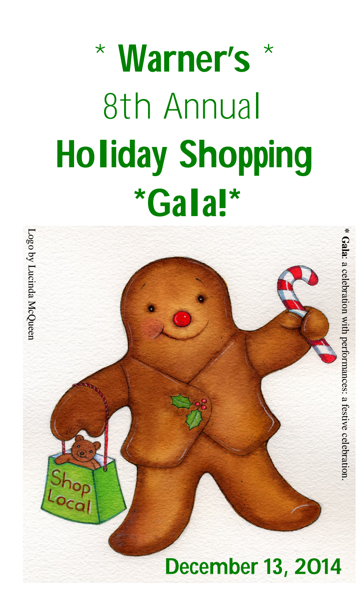 This Saturday, Dec. 13th is the 8th Annual Holiday Shopping Tour! 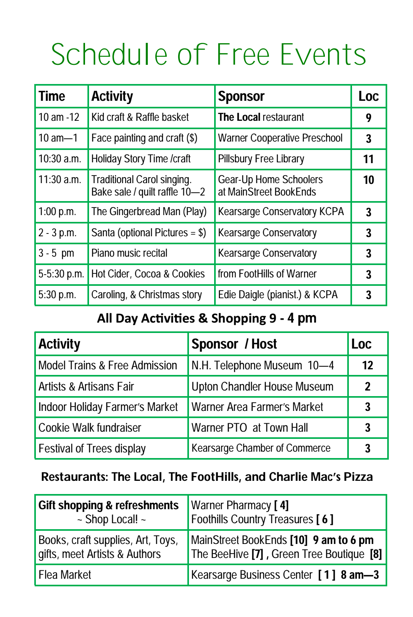 Be sure to explore all the fun events in Warner this weekend including Artisans at the Upton Chandler House. 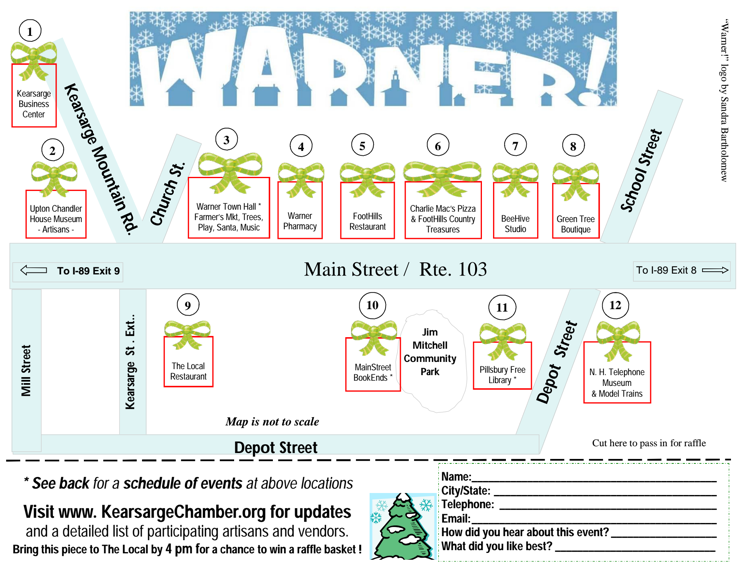 See the flyer below for a list of all the vendors.